When you think about your day to day life and everything that you do, it’s no wonder that your back might be feeling a little worse for wear. Our spines go through so much without us ever realizing it, and even something as simple as sitting at your computer for the day can be doing it so much strain and injury. Those who have had recent surgery or an injury will feel this strain even more, and the regular things they used to do like drive their car around town will now feel like an enormously painful feat. Using a standard cushion just can’t offer you the correct support you need and you’ll feel ridiculous carrying one around, and so you need a better solution. Seat cushions with a back support pillow, are one innovative way to get the help you need, offering you a comfortable place to sit and additional support for your back. However, finding your way through the many options out there until you come across a lumbar support pillow that has all the features that you need can be like finding a needle in a haystack. 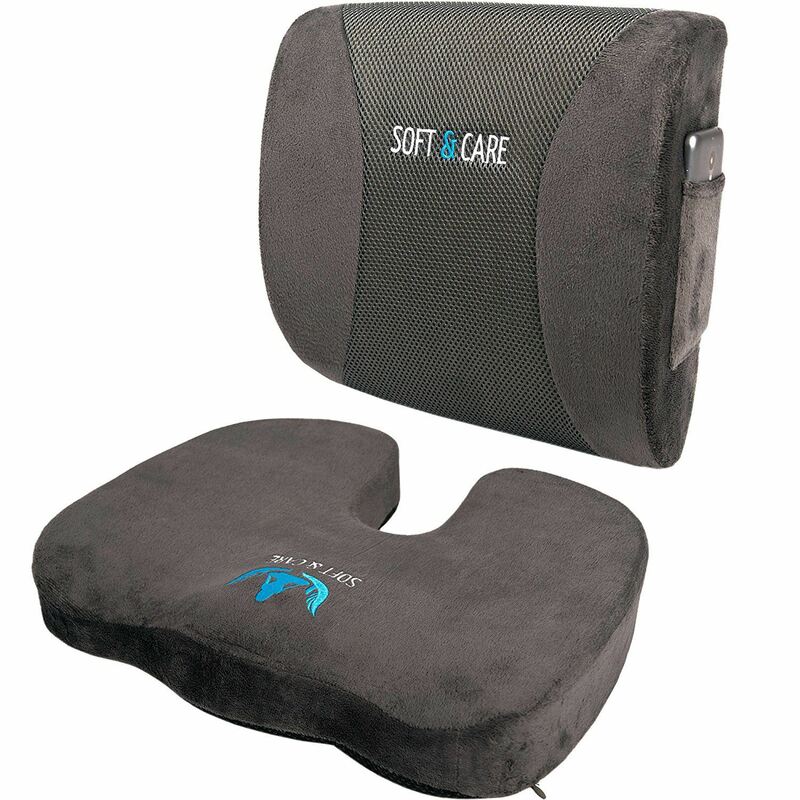 Soft & Care has created a seat cushion and back support pillow that hopes to tick all of your boxes with features that make it a standout from the rest. With just this one product you’ll be able to relieve yourself of a sore back and all of the other problems that arise from it and help keep comfortable after surgery or injury. Soft & Care is a brand known for making health care products that add comfort to your life, with a whole range of ergonomically and orthopedic focused devices. 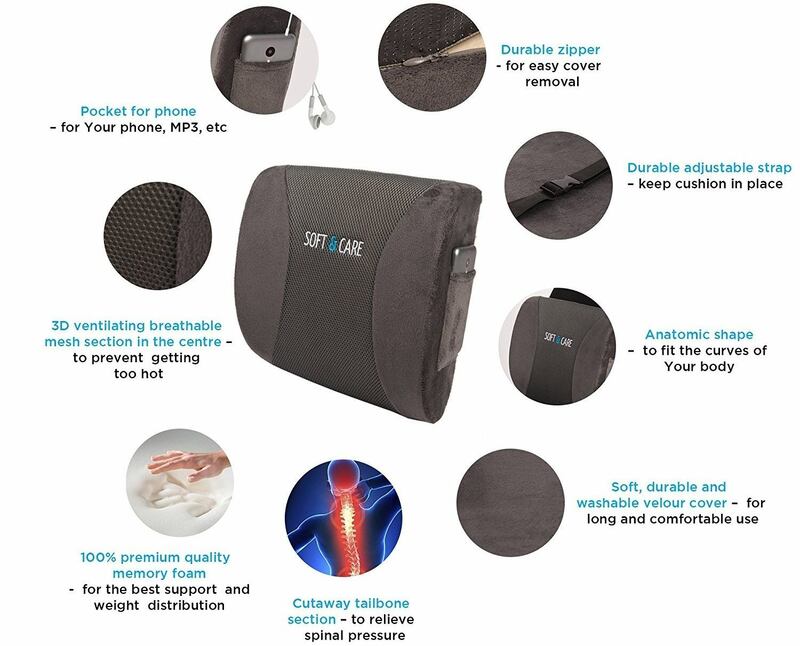 The Soft & Care Cushion Pillow is one of their leading products enjoyed by not just people who are recovering or in pain but for everyday people to help them achieve a better posture, thanks to the special seat cushion for spine support. This lumbar support pillow is ideal for anyone who’s ever felt discomfort at work, spends long hours driving in cars, trucks and camper vans, or just needs some support after an injury or surgery. 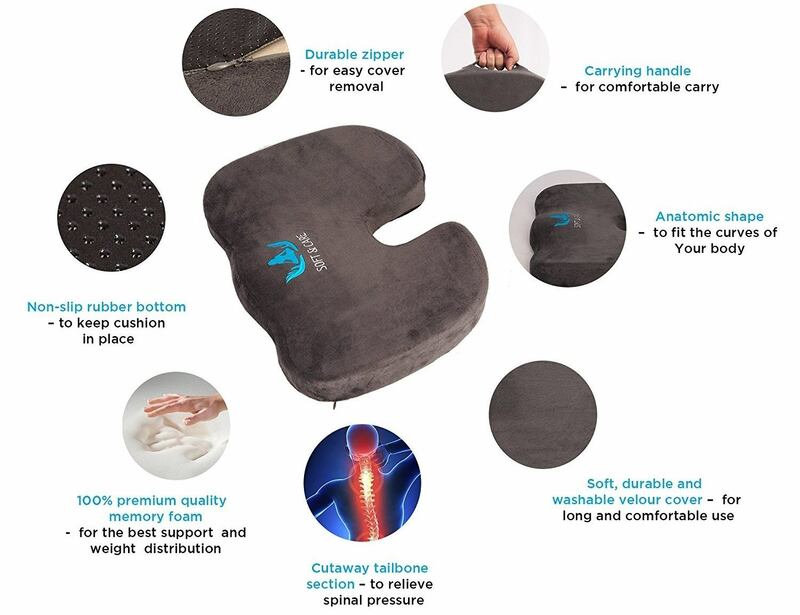 By relieving the pressure from your coccyx and giving you lumbar support, this cushion works in two ways to make the most comfortable seat you’ve ever felt in your life. There were so many good reviews about this cushion and especially when discussing the value price compared to other top quality brands. The biggest positive about this cushion was the high-density memory foam used, as so many customers found it the perfect thickness that gave them both comfort and support. So if you were looking for the best memory foam seat cushion, that might well be it. With so many little features included from Soft & Care, they all added to make a wonderful product. People loved the washable covers, carry case and pocket for your smartphone that just made it easier to care for and use the cushions. There isn’t much to complain about with this cushion, with the only real negative comments being about the size of both. Some found that the back support pillow was too short and could be a little longer and others wanted the seat cushion to be wider. However, it depends on the user, so be advised to check your own measurements. When compared to other brands, the warranty offered on this cushion isn’t that great with only a 60 day period available to return it. There are some with lifetime guarantees so if you prefer a little more assurance for your money then this might be a better option, however this is a well-made cushion that should last well beyond this initial coverage. This set comes with both a seat cushion and lumbar support pillow, but if you’re looking for even more support, consider a footrest or wrist pad for working with your mouse and when used in conjunction with your cushion support you’ll feel healthier and more comfortable than ever. 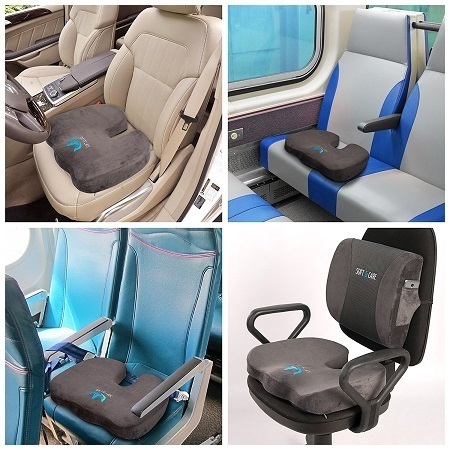 If you’ve wanted to get yourself some additional support from one of these innovative cushions but just couldn’t spare the cost, you’ll be thrilled to find the affordable Soft & Care Seat Cushion. This cushion offers both seat and back support where you need it most so that you can go on enjoying your daily activities. The Soft & Care Seat Cushion ticks all of the boxes for what you need in a support cushion like this and after just one use you’ll be wondering why you didn’t treat yourself sooner. 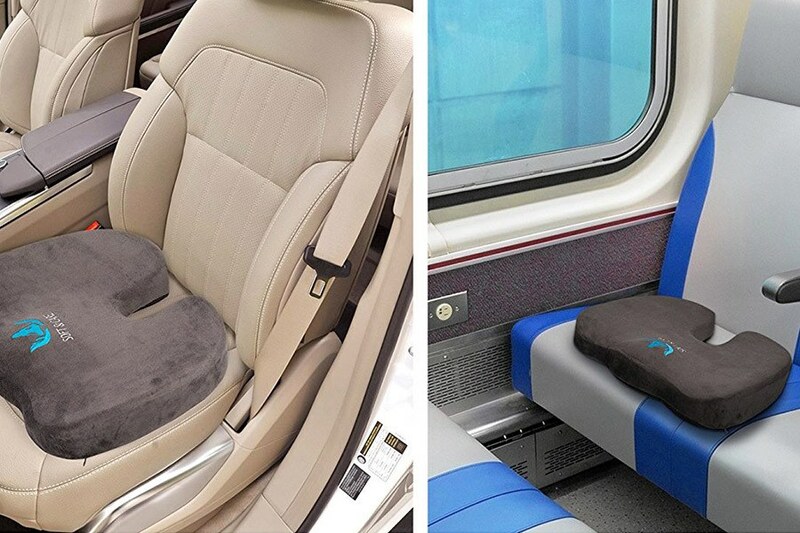 To get a Soft & Care Seat Cushion today, use promo code "SOFTSETS" and get EXTRA 10% OFF the cushion this month. If you feel like you need to take a look at more options, check out our Fortem Seat Cushion review. SAVE 10% with Promo Code "SOFTSETS"